Scotland. Day 6, 4th July. 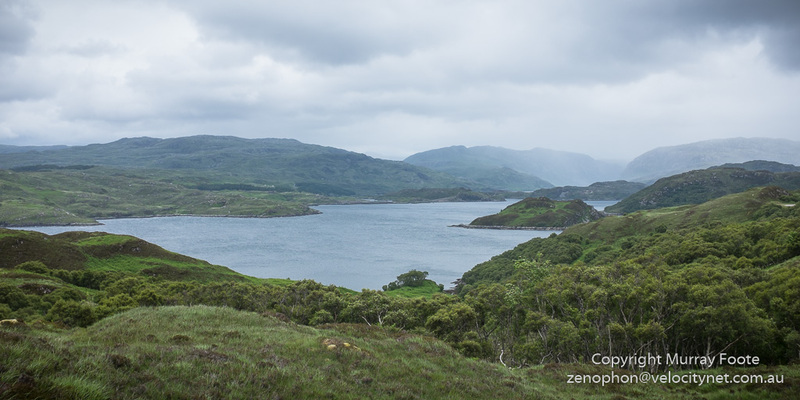 I am driving along a remote side road in Assynt, the B869. 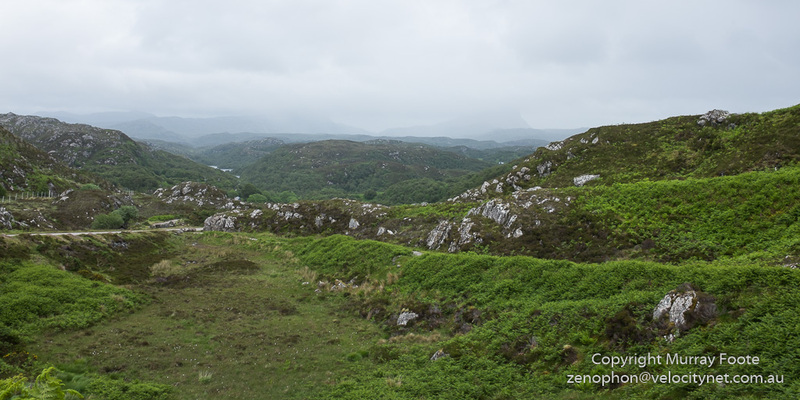 There were many spectacular views but few safe places to stop to take photographs. 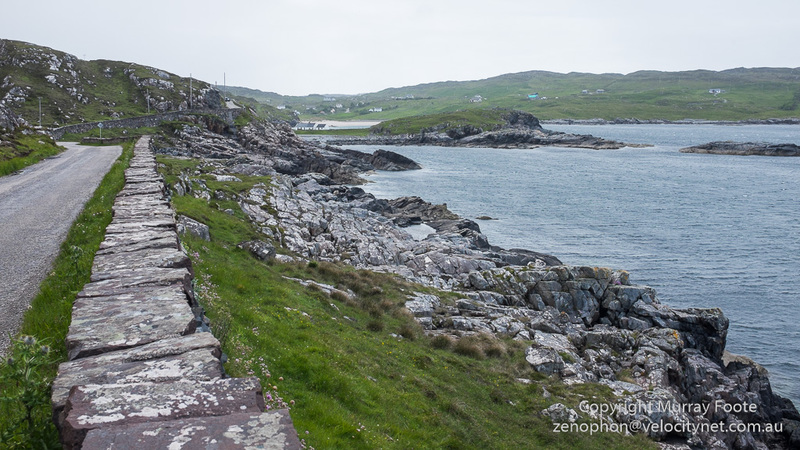 It was a narrow one-lane road with intermittent passing bays, common in North-West Scotland. This one was particularly windy so you couldn’t see far in front of you on the road. Not a good road for a caravan, especially should you encounter a bus or a truck. 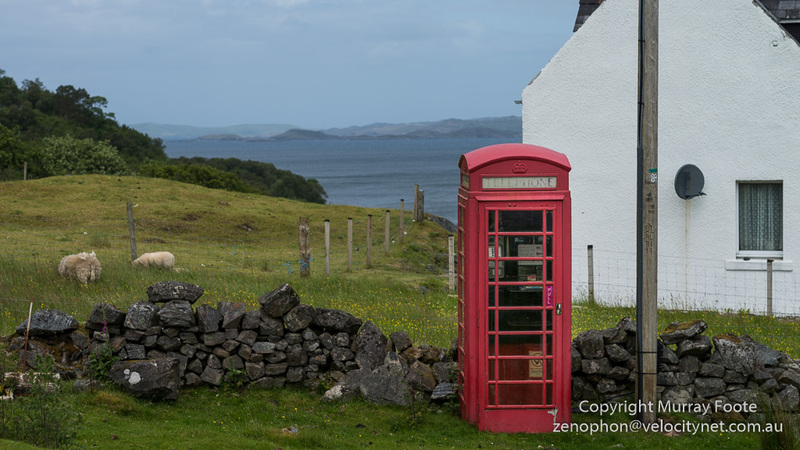 They still use phone boxes in the highlands. This must mean few mobiles and no vandalism. This is at the tiny village of Nedd. 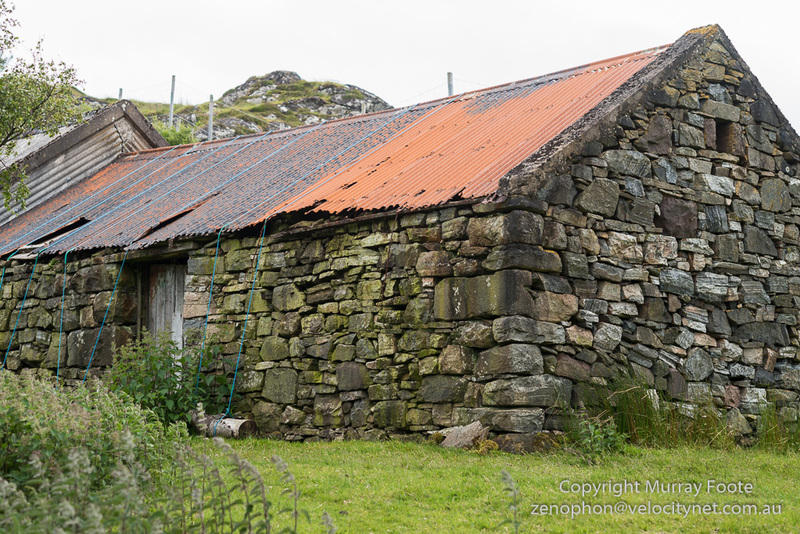 An old drystone building from an historic croft presumably used for storage. Originally there would have been a thatched or turf roof. 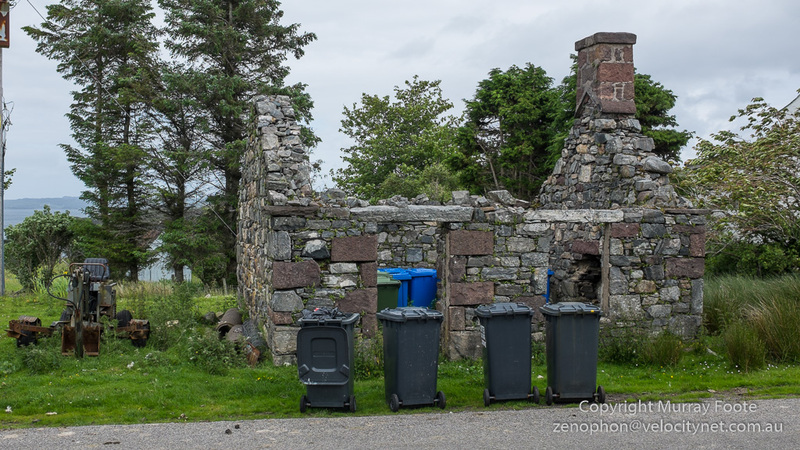 A house of many bins. Whoever lives here must create a lot of garbage. There are still a few locals living here. 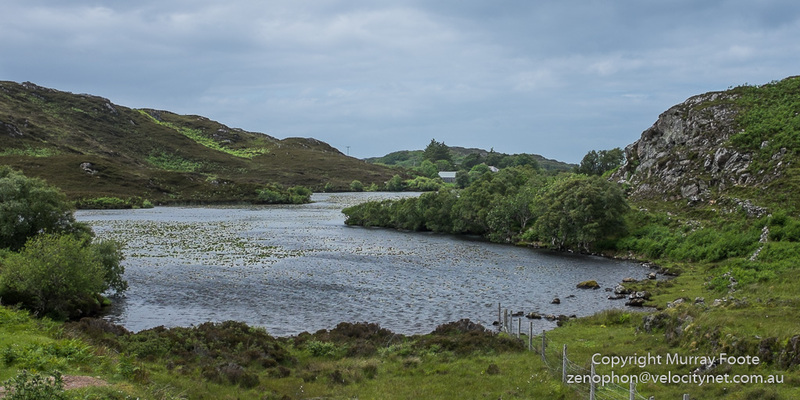 This area is unusual because the crofters actually own the land. There have been settlers in the area for perhaps 7,000 years and it would originally have been forested. 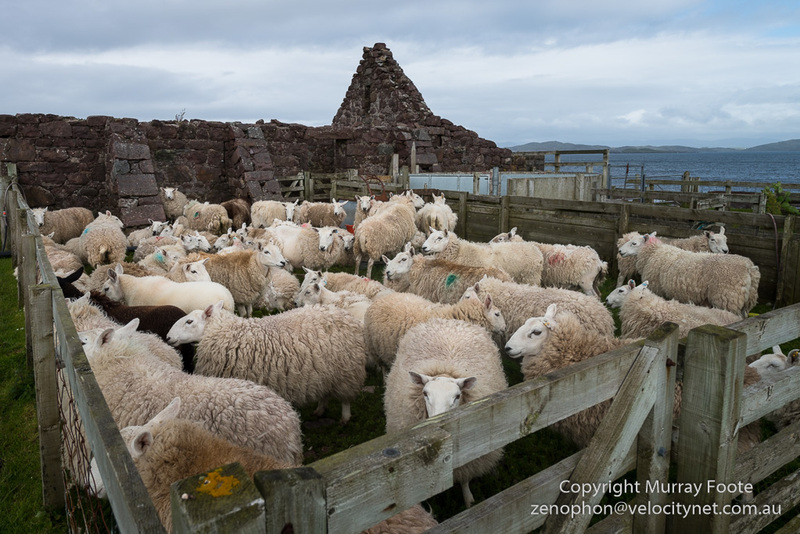 There are thirty or forty chambered cairns and around ten brochs in the area though I did not see any of these. 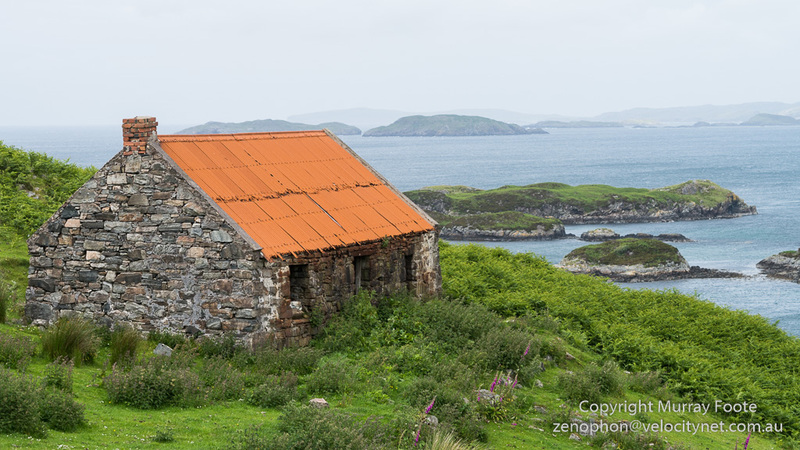 The house of an old croft that presumably relied on the sea for much of their livelihood. 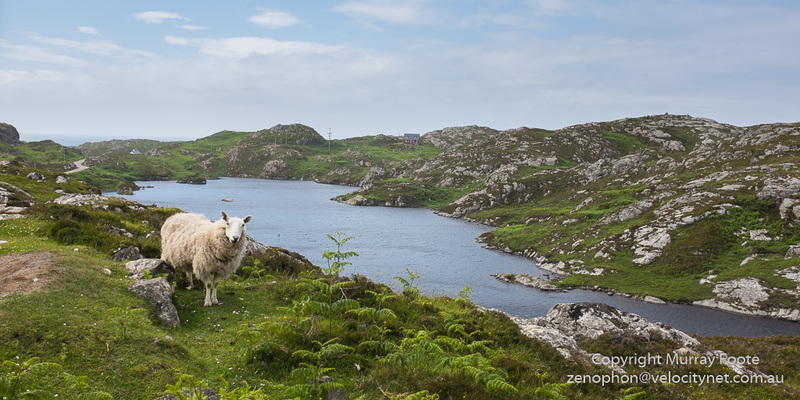 160 families were evicted from Assynt between 1812 and 1823 to create large sheep farms. In the long run these sheep farms did not prove profitable and there is now little evidence of them. Coming into Culkein. The flat stones beside the road were probably plundered from evicted crofts rather than being cut for the purpose. 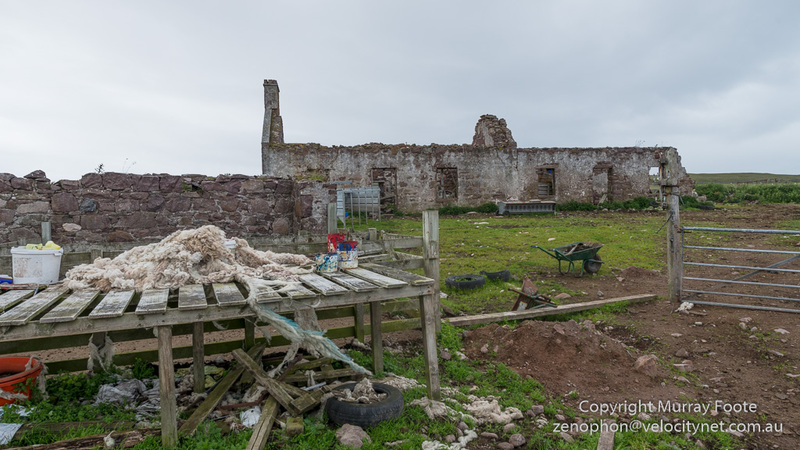 Shearing was evidently underway beside what is probably a ruined farmhouse. This is not far from the Old Man of Stoer, a spectacular stack (or rock pinnacle) but I was running out of time for the walk and being slowed down by a strained achilles tendon so I didn’t go there. 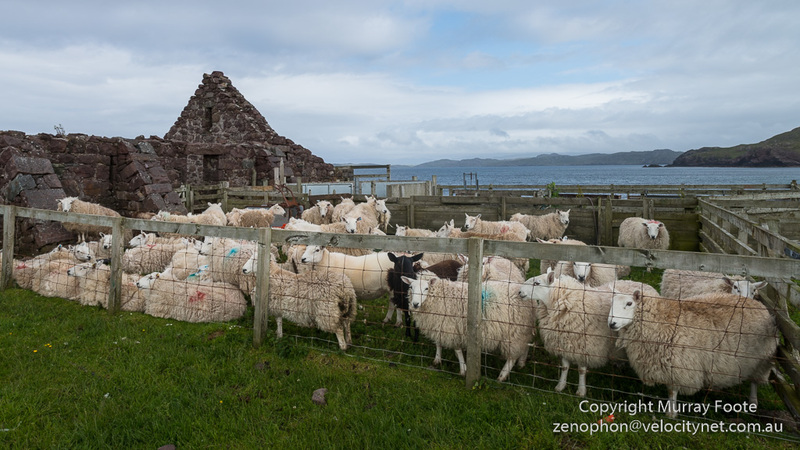 I think it must be an old church that the sheep are penned against. This is a multiple image panorama. Click it for a much larger file that you can zoom into and scroll around. 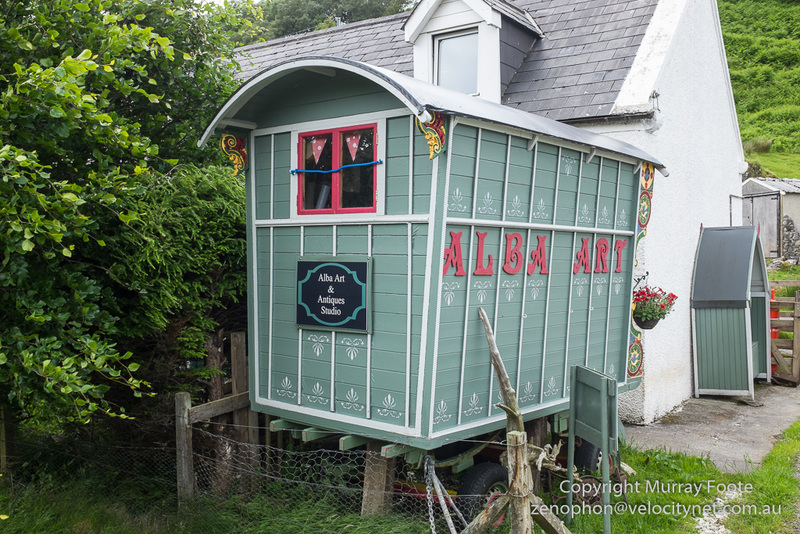 This entry was posted in Scotland and tagged Assynt, Culkein, History, Landscape, Nedd, Photography, Scotland, seascape, Travel.